New pet Rosalind (named for the dark gray thirteenth moon of Uranus) entertains a guest in her apartment. We’ve had cats that have behaved like dogs. Gambit is the first to nibble hay like a rabbit. His host doesn’t seem too pleased with the intrusion, however. 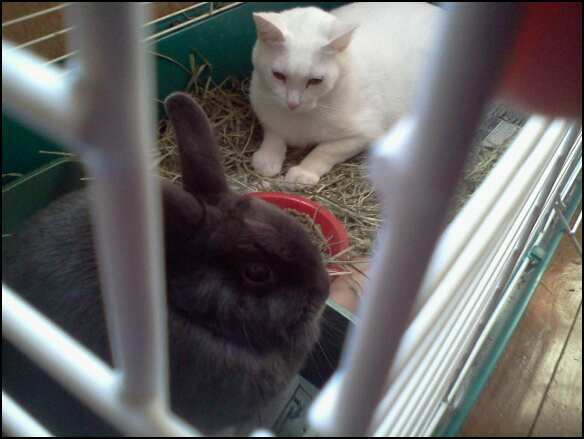 This entry was posted in Pets and tagged cat, rabbit. Bookmark the permalink.